The most innovative digital records management solution available for the Aerospace market today. Designed to manage the aircraft maintenance records process from paper to digitalised PDFs, loaded online and available around the world. Streamlining processes and procedures in Technical Services and CAMO departments, ROAM delivers a feature-rich solution allowing your teams to work more efficiently. From indexed records, loaded with metadata to fully searchable PDFs, ROAM Records module is the solution for your digital archive requirements. 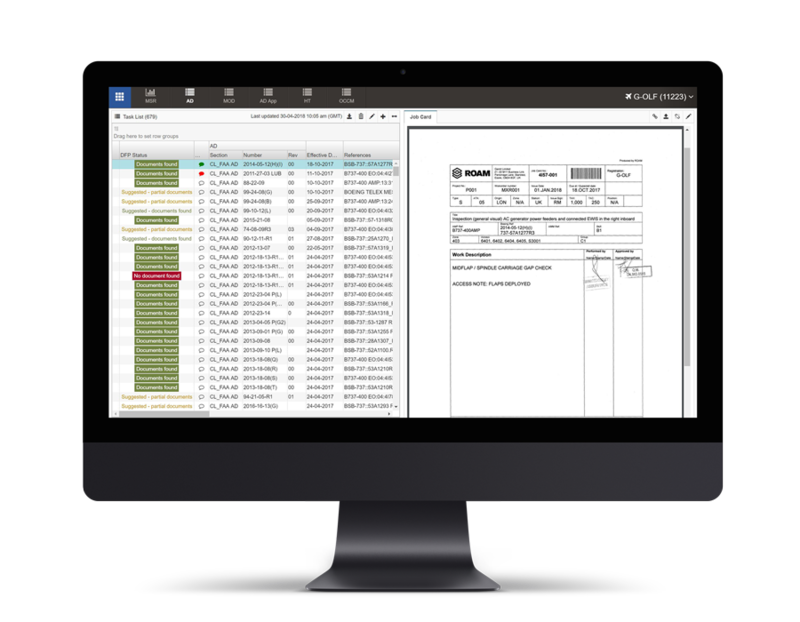 With a highly intuitive and user-friendly interface, combining your Records archive with the ROAM Status module your documents are easily retrievable in an instant! 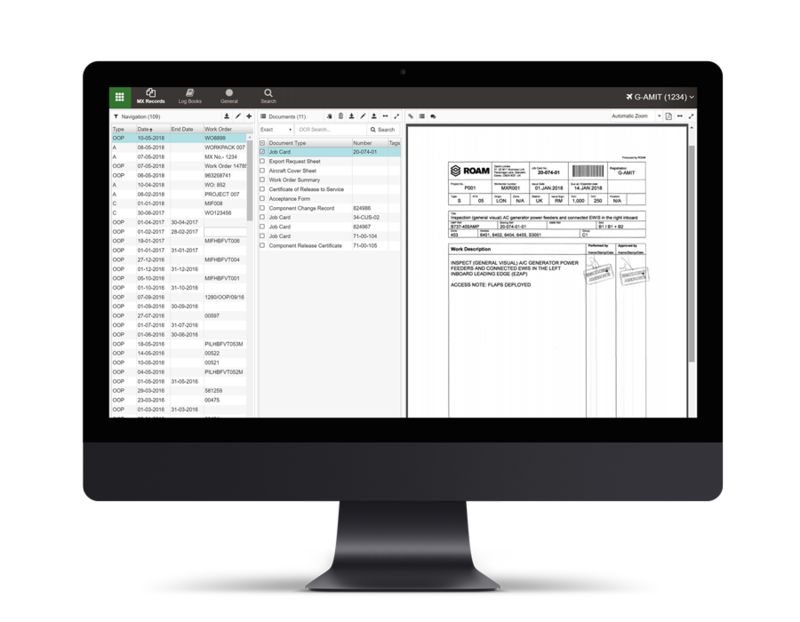 An area of ROAM which is designed to bring together your planning data from your central Maintenance & Engineering system and connect with your PDF records. The end result is clear and concise live airworthiness and technical commercial compliance. Flexible to work in accordance with Spec 2500 standards, or fully customised to your organisational requirements. ROAM Status builder provides a view to the user which is understandable and requires little training to operate. Whether you are looking to provide Airworthiness Directive (AD) evidence of compliance, or Service Bulletin (SB), the Status Builder module provides an efficient tool to any Technical Services / CAMO / Fleet management department. To arrange a full demonstration to see the full range of modules and features please enter your details. GDPR GDPR I consent to Gamit collecting my personal data.